Forever Manchester’s First Friday Casual Networking Event will be held in the Basement Bar of The Whiskey Jar NQ on Friday 6th March. 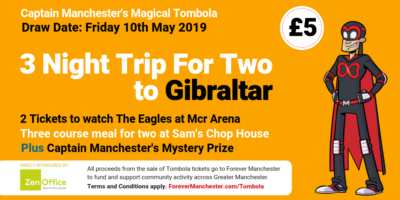 Members of the Forever Manchester staff will be on hand to make introductions and share upcoming activities for you to get involved in to raise money to support community projects across Greater Manchester. As always there will be live music from a rising local talent. Last month over 100 people attended, creating a real buzz, with many staying on well after 6pm. The first 50 attendees will receive a complimentary drink on arrival.